Myths: Native to this landscape are the Anasazi, a people that carved their dwellings out of the highest livable portions of the upper canyons, as well as concealed rock dwellings on the Plain. The upper Anasazi dwellings are so elevated that they can only be reached by rope. Why would an entire culture build homes so high above their essential resources? What was roaming the plain that required a great height to steer clear from? Interestingly enough, the Anasazi myths, just like the Celtic ones, are of Giants. Why do all the oldest cultures insist that they experienced Giants? Something to think about, and this is the place to do it. As it is with so many places in the American West, there is a toughness to everything you see, but even with that toughness, a delicate beauty refuses to be ignored, which can be seen in the color of the wildflowers at Oak Creek Trail. After crossing the bridge and heading up a few of the ridges you can turn north and see this epic space. There are hills and rock towers, forests and grand ridges, with miniature canyons, all in one glance. The concentrated ridges truly look like temples. Perhaps that is why one of the more major statements in the park is called Cathedral Rock. Cathedral Rock Trail: Cathedral Rock’ has its own trailhead, but can be reached by a 8 mile trail from the Oak Creek route. This longer route required preparation and expertise. Any trail passing through the High Plain will require 1.5 gallons of water and food in your pack, along with a small med kit. Respect this wilderness. 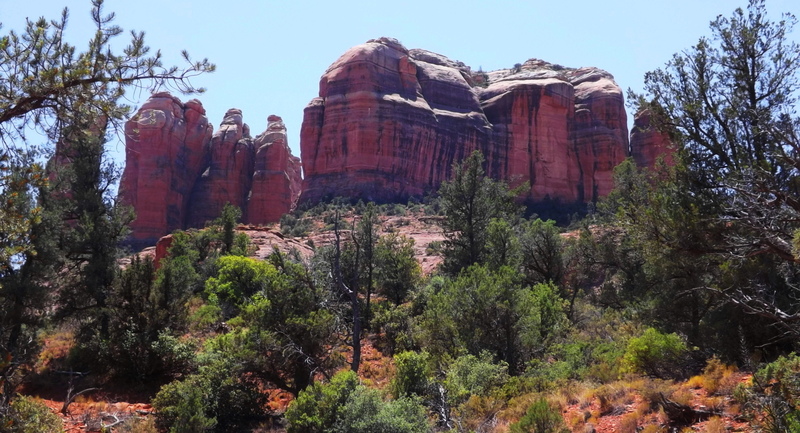 From the trailhead at Cathedral Rock, which can be reached by a simple and brief car ride, there is a fantastic loop that takes you around the ‘Cathedral’. There is a type of reverence here, with the Cathedral in sight, as if something otherworldly once happened at this beautiful place. Like a meditation center, hikers can be found circulating the massive Rock, and camping out in groups of spiritual seekers. There are trails for biking as well, for those who are prepared for the rocky terrain.. There are offshoots of the main trail here that are hard to understand. Some of the bedding of the rocks look as if water once rushed over the stone, obviously in another Era. Amazingly, there are cross section here, delicately etched into the stone, just like in the rocks of the trails back East. 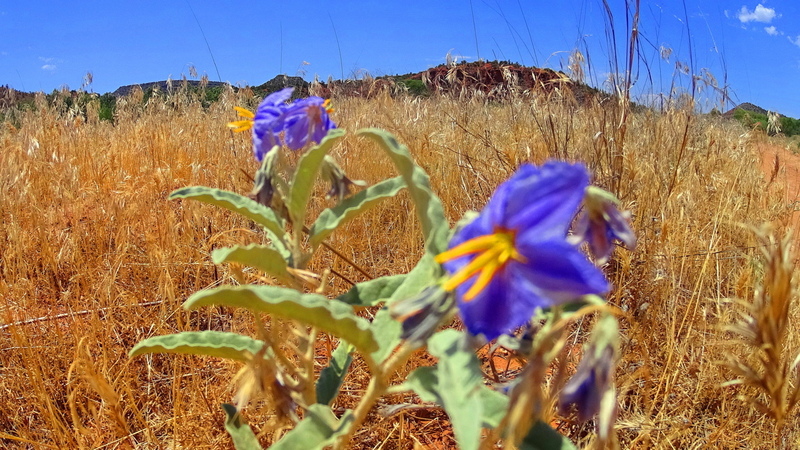 This one, pictured on the left, is at Cathedral Rock Trail; the one on the right is at Watatic Trail, 1800 miles away. What is the meaning of these cross sections, which are found in the ancient rocky sites of the world? As described in other articles, I believe they are the “calling card” of a Neolithic Culture, which created cross section of triangles as a utility for building, as well as a tribute to the divine concept, which is The Axis of creation, a philosophical concept from the beginning of Time. 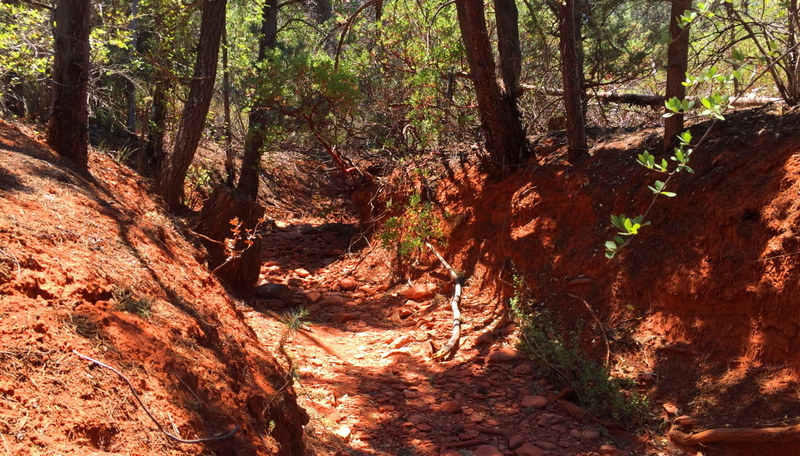 There are deep cuts in the landscape leading away from the wide bed-rock faces. They are tempting to climb into, but beware of snakes, and other wildlife. 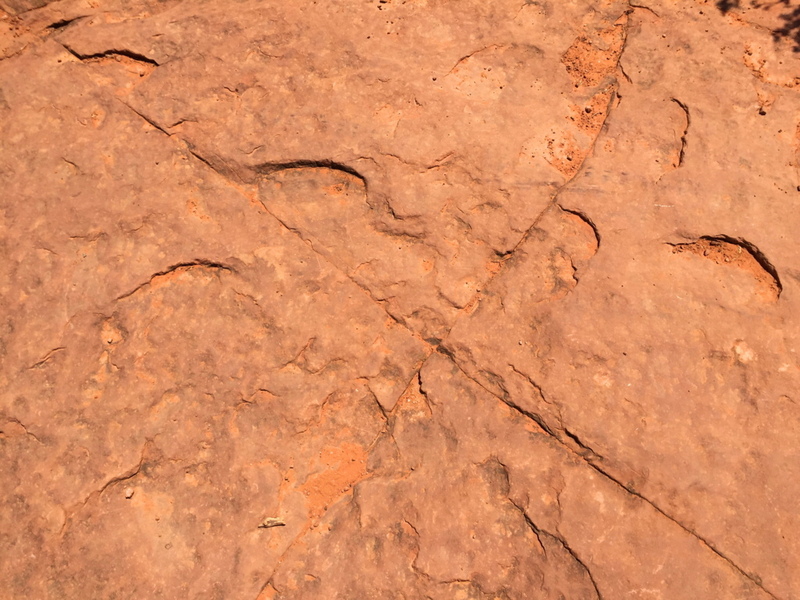 There are also stones that are clearly cut, and not average debris, but the amount of possibilities as to who may have done this work are too general to specify. Red Rocks National Park is a place unlike any other in the world. One could spend a life time hiking and researching its epic features and indigenous mysteries. The colors here, the scale of everything you see, is overwhelming. 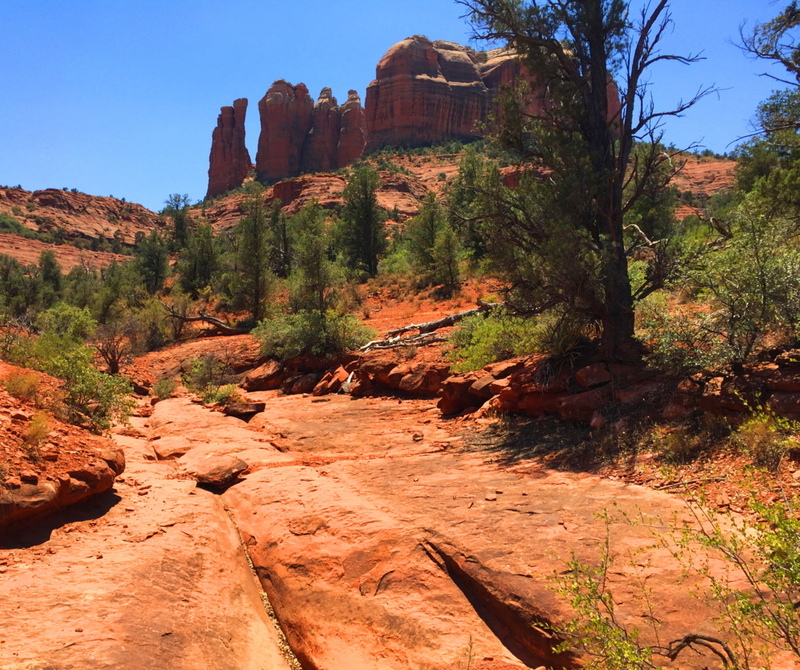 For those first-timers, try these basic trails first, and make time to visit Sedona. There is a vibrant Arts community here, with a social scene to match. 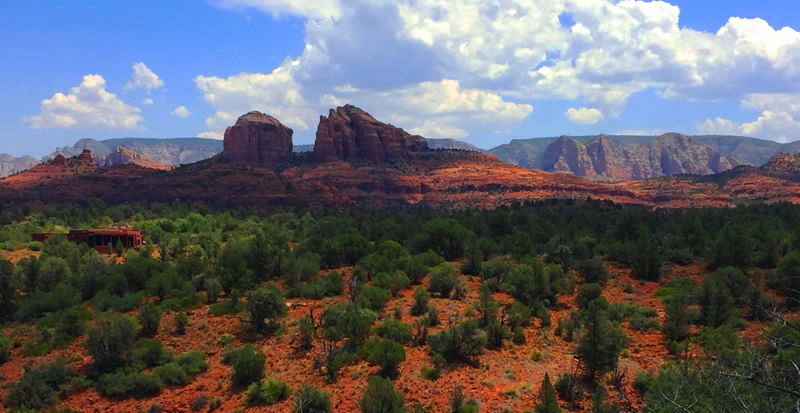 Arizona, overall, is a hiking paradise. You can feel that something incredible took place her once, however hard it is to put your finger on. Perhaps the myths are just a hint as to what this place was before the West invaded. 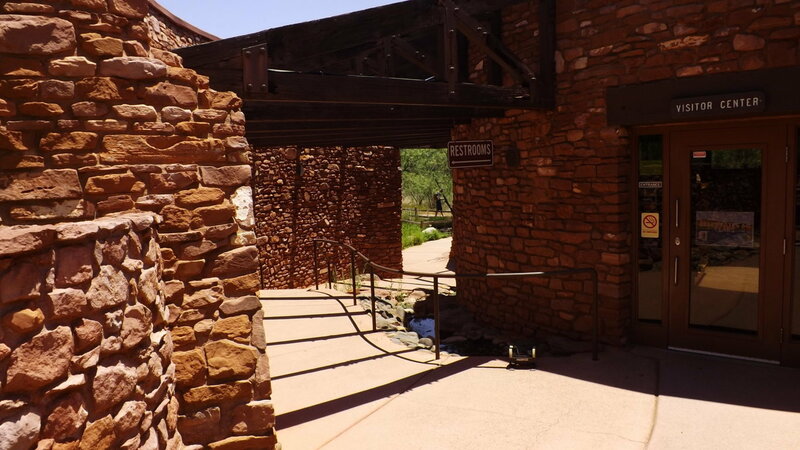 Red Rocks National Park is just one of just dozens of national parks, each one being an absolute gem, like Oak Creek Canyon, Grand Canyon, Hulapai Mountain, and Sunset Crater, just to name a few. 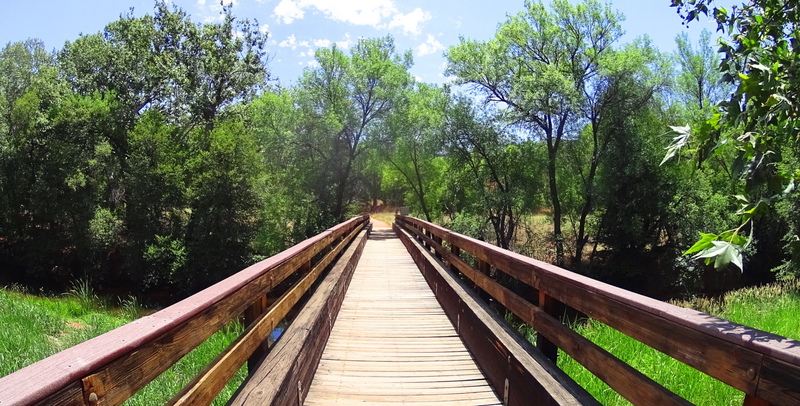 An experience here increases your overall ability as a hiker, drastically, as you are moving in 105 degree heat, roughly 4000 feet above Sea-Level. When you go home you will be significantly stronger. 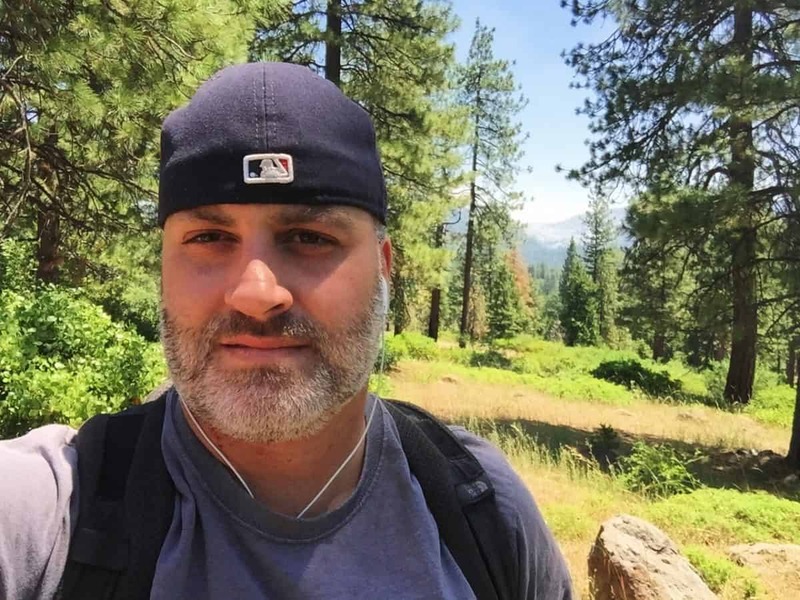 The energy is obviously radiant, but purifying and straight-forward, without any room for wasted effort or lazy mistakes; yet in places where the stakes are higher, the value of the experience enters into that realm of spiritual appreciation that makes hiking the very real meditation that it is. 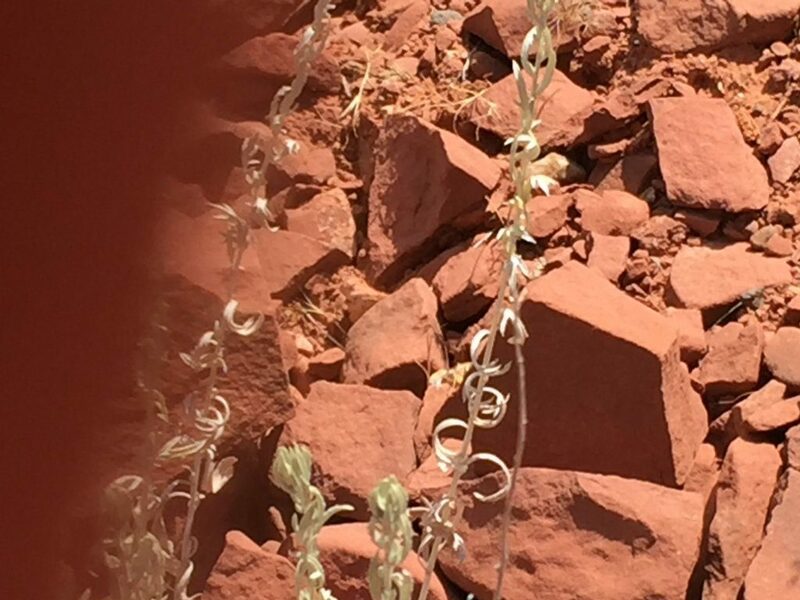 Red Rocks National Park is that experience. Give it a shot if you can, and go strong! 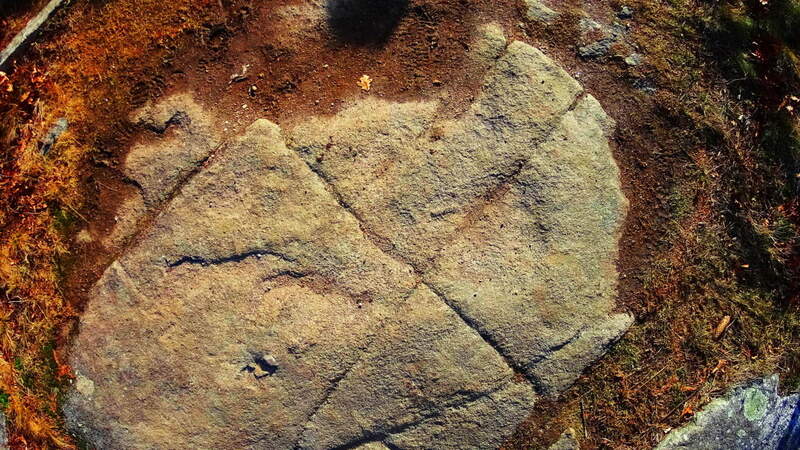 Note: When seeking out sacred places, signs for Neolithic Culture will not always reveal themselves. The world is a wide place, teaming with variation and regeneration. In places like Sunset Crater, you will experience real wonder about the regenerative ability of Nature, as well as its explosive potential. This is a relatively new landscape compared to the Ranges of Ireland, Scotland, England, and New England. Just like the Celts of the Atlantic coastlines, there are native tribes that have been in this particular place basically forever. These indigenous tribes can attest to the age and variation of the landscape, along with Neolithic legends of their own, which bear striking similarities to those of the Celtic tradition. 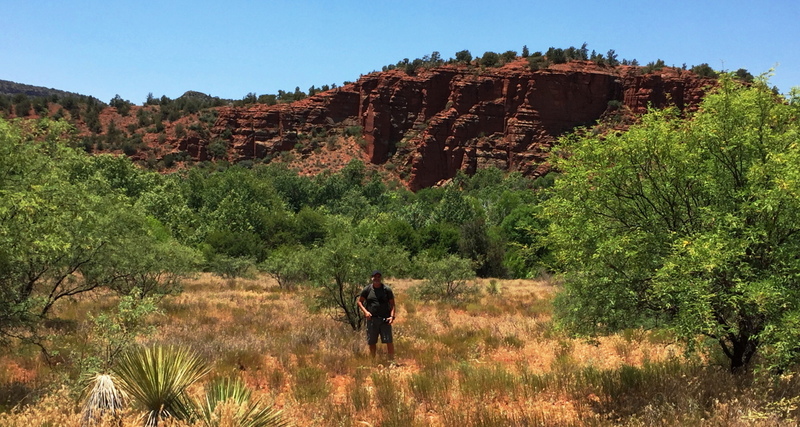 The Hopi of the Coconino Desert tell stories of “Red-Headed Giants” that ‘terrorized’ this region once upon a time. Isn’t that ironic. Many tribes, such as the Wupakti, migrated away from this scene, out to the very edge of the desert, into mountains and forests, perhaps to get away from the threats that existed out in the wide-open-wild. 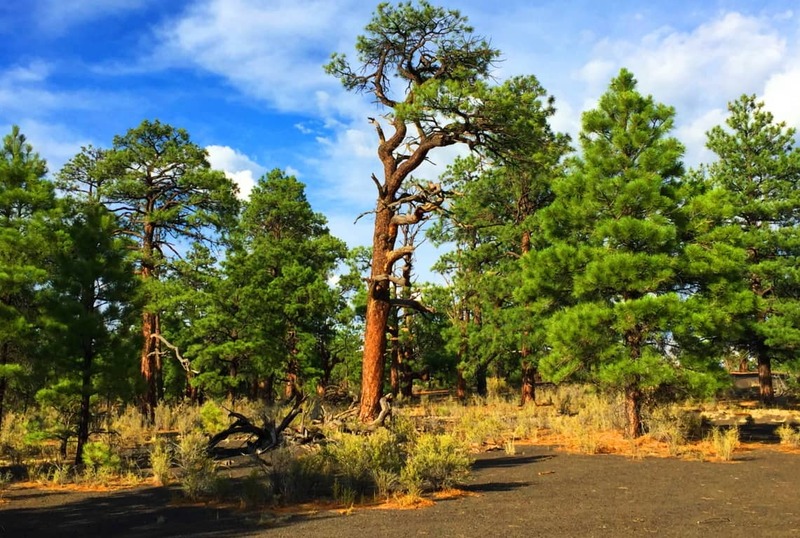 They came to live in the shadowy-cool forests of what is now Sunset Crater Volcano National Park, the ever-young landscape on the edge of the abyss. Some places, just by hiking through them, can literally change your dreams at night. After hiking the countryside in Ireland with eyes wide open for just a few days, the only thing you will see when you eventually close your eyes at night, is a bright residual green. (Image/ Below/Left/Glenveagh Mountains/Ireland). It truly happens. In the high Cococino Desert Plateau of Arizona (Image/Below) where everything you see is, at a minimum, 8000 feet in elevation, the altitude seeps slowly into all five of your senses, and even pushes you into a sixth. Here your body will begin to sense that it has moved into another world entirely. After a few days on the Cococino Plain of Arizona, the only thing you will see, when you eventually close your eyes at night, is residual white-gold. The perfect example of this is the wide-open panorama of the Grey Mountain (Image/Above), just south of the Grand Canyon. Grey Mountain sits like a white-gold monument welded by the timeless high-winds of the Cococino Plateau. On the extreme southern edge of this “white and gold dimension” is the surreal and vivid oasis of the ‘Sunset Crater Volcano National Park’. 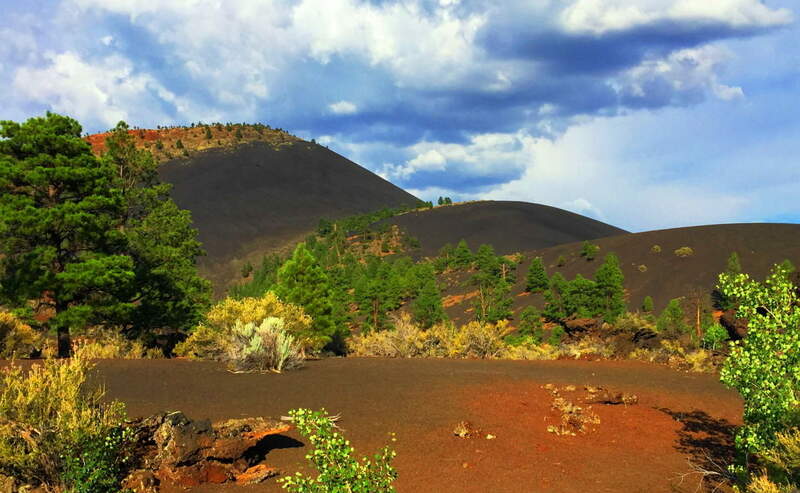 (Image/Below) Sunset Crater’ is the captivating edge of the intimidating, but totally scintillated, Cococino Desert scene. From a distance, Sunset’ is the first life-giving glimpse of green after a dauntingly vast span of high desert bush. The Crater’s’ black rock and golden brown soil stand outs like a holy mountain against this dramatic golden-white backdrop, and it is highly likely that the native Americans of this area believed it to be a spiritual monument. From the base of the Volcano, Sunset’ becomes a deep and jagged black-sea of solidified magma, an other-worldly terrain displaying a tangible timeline of life and death, and then life again, in a single glance. (Image/Below) The trail design here at Sunset’ is a short set of ‘Wizard of Oz-looking’ pathways that run through the incredible magma remains. The rocks are sharp and drastic shafts which cut deep into the earth. The smooth white stone platform built for hikers here couldn’t contrast the experience more (Image/Below). It is one surreal stroll. The best trail here is the small road which runs northwest into the newborn forest, around the Volcano. To see this brand-new forest rising up out of what was once magma, ashes, and fire, is to see a spiritual vision. It is a testament to the determination of the force of Life around us; how It finds a way, even in the harshest of environments. It is truly surreal: What looks like level pavement in the image below, is actually the newest of forests growing straight out of the compiled ashes and magma. The fauna here are tough, resilient, but somehow delicate and soft as well. 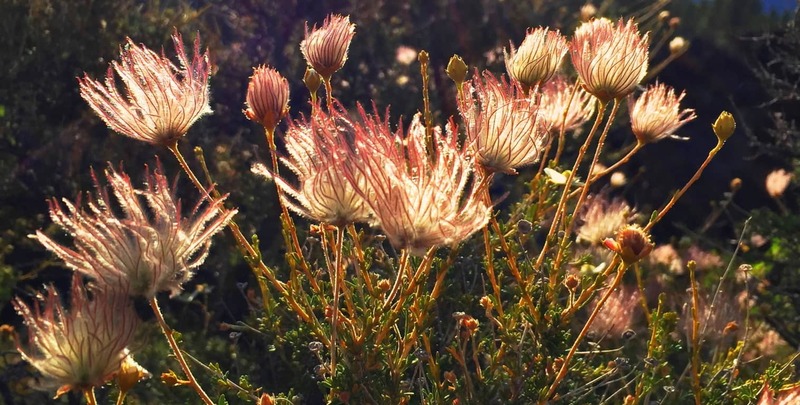 (Image/Above) It is forbidden by the Park Service to climb the Crater’, but you can wander into this baby-forest near the western base of the Volcano’. Here you can catch a glimpse of the young glades climbing up the 1000 foot incline. The new growth browns’ the black-rock deep into soil, with the golden brush sprouting-up as a result, pushing the Ponderosa-Pines ever-upward, as if they were climbing The Great Pyramid. The indigenous Natives of this region, the Wupakti, would’ve seen the dramatic eruption which took place here just over 1000 years ago, from their stone dwellings only a few thousand yards away. 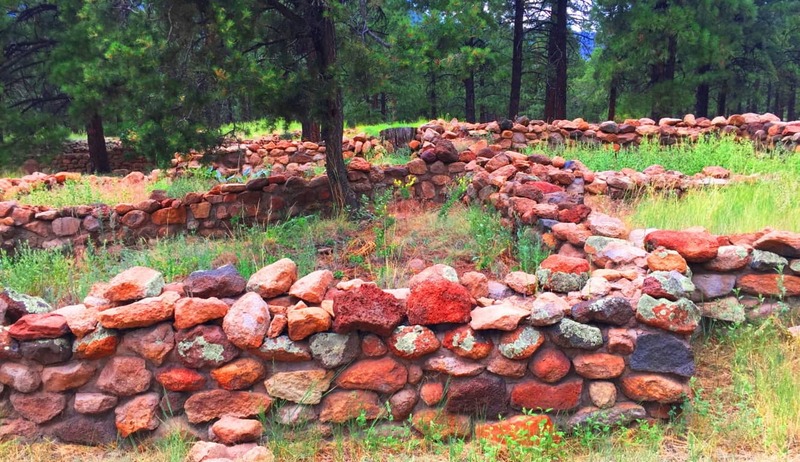 Their dwellings remain in the safety of the Ponderosa Pine filled Cococino glades, where once deer and rabbit would’ve been plentiful, before the modern era invaded their tranquil existence. (Image/Below). The Wupakti absolutely knew what they were doing when they settled just west of the Volcano. 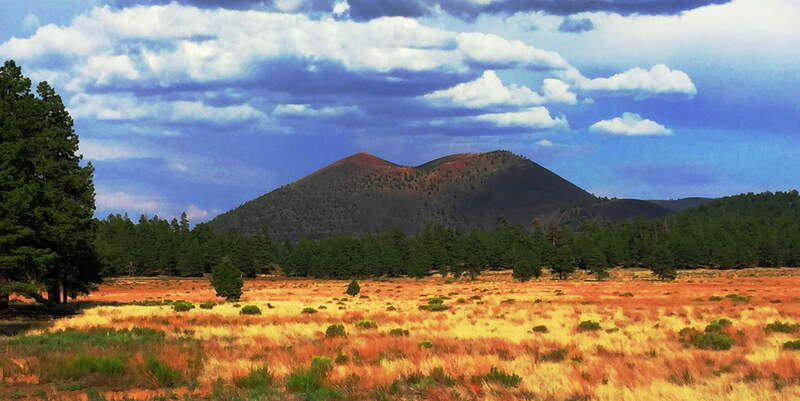 The variety of alternate natural features within a 50-mile radius of Sunset Crater’ is overwhelming. 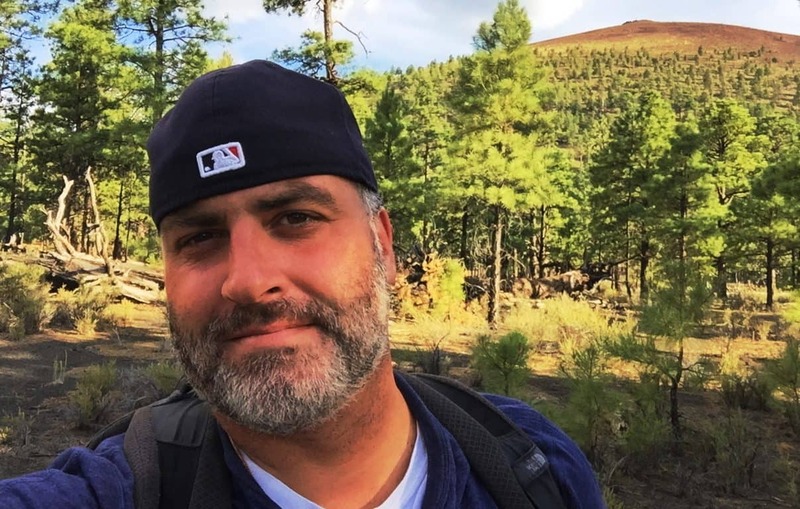 To the north of Flagstaff City, and east of Sunset Crater’, is the striking San Francisco Mountain Range of Arizona, inclusive of four beautiful peaks, with trails, all climbing no less than 12,000 feet. (Image/Below) The native cultures here are beautiful and varied. The Wupakti chose to live at the base of these Mountains, within the Forest. The legendary Apache dwelled to the southeast; while the mystical Hopi chose the north, way-out in the desert Canyons, such as the Grand Canyon (Image/Left) and the lessor known, but no less beautiful, ‘Little Colorado Canyon’. All of this is out there in the northern arid abyss that seems to go on forever…(Image/Below) The signs of the Neolithic Culture that existed before the Natives of the region are certainly here, spread across an intensely vast amount of space. Multiple canyons, forests, mountain ranges, and deserts exist here, all with features that show signs of Neolithic culture. 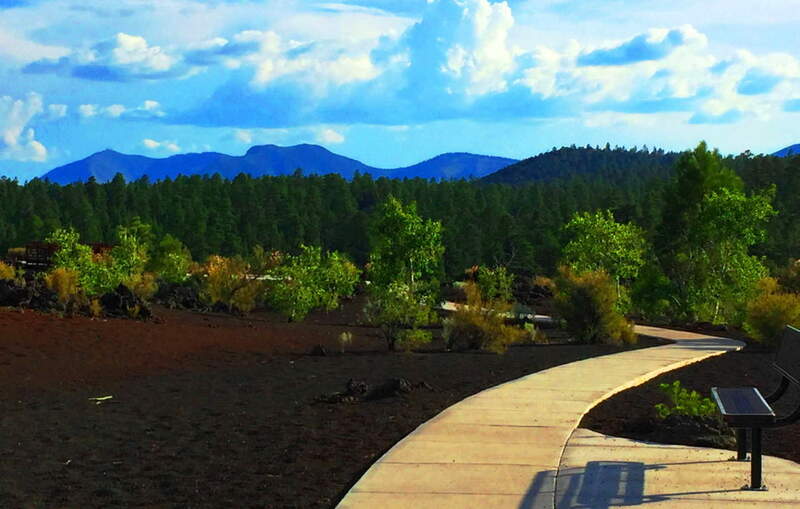 If you come to Flagstaff Arizona, visit Sunset Crater’. Experience raw elements of trails containing the Past, Present, and Future in one stellar region. The regenerative force of Nature persists in even the harshest of places. 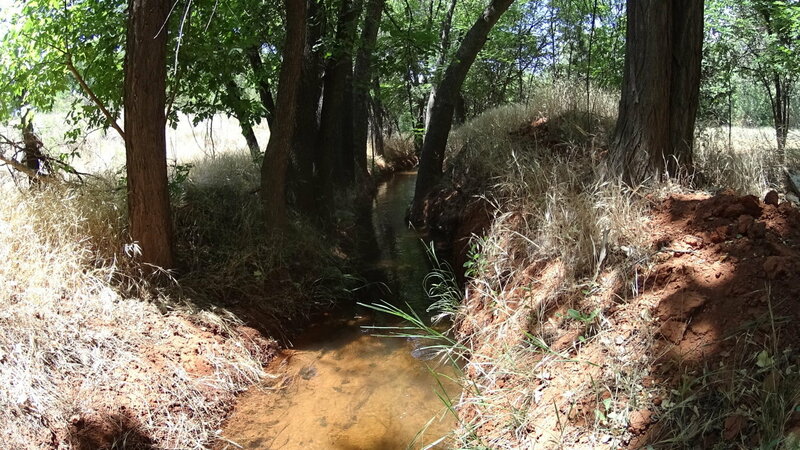 Amazingly, if you investigate the stories of the Wupakti, Hopi, and Apache, you will find myths so similar to Celtic legends, it will astonish you. 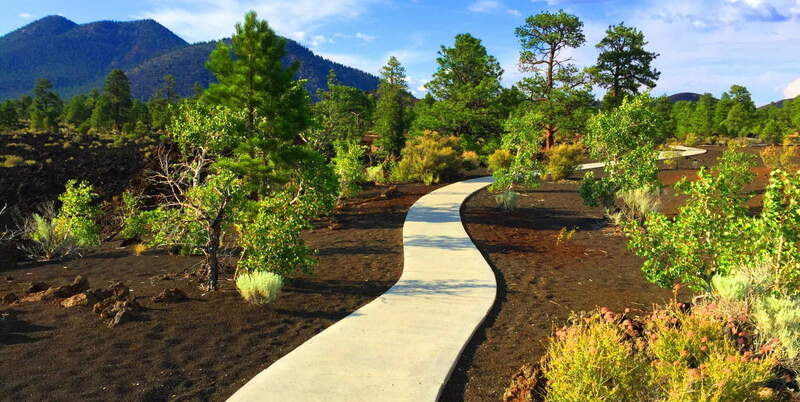 A hike through Sunset Crater’ makes it all as real as it gets, and in a stunningly beautiful way. Don’t touch the lava if it starts to flow, but definitely enjoy the show.